The Dubliner’s motivational skills kept GB&I heads high as they survived a final day comeback from Continental Europe to win for the sixth time in a row. English pair Ross Fisher and Mark Foster gave “McGinnr” their full backing with Fisher insisting: “Paul McGinley has been just a tremendous captain, very inspiring, just absolutely brilliant. Rookie Foster felt McGinley ga him the confidence to go out on Sunday and clinch what proved to be the winning point against Frenchman Raphael Jacquelin. Foster beamed: “He was brilliant with me. I lost two games, one on Thursday, and one on Saturday, and the scoring was brilliant. “He just kept saying to me, you would have won any other point. 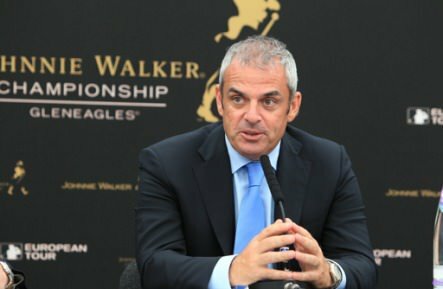 Jose Maria Olazabal will lead Europe’s Ryder Cup defence in Chicago next year but McGinley is now highly fancied to do the job at Gleneagles in three years’ time. Scots Colin Montgomerie and Paul Lawrie have already come out and said that McGinley would be a worthy skipper. And while McGinley doesn’t want to comment on 2014 until he is asked, he was immensely satisfied to help the rookies and maintain his 100 percent record as a skipper. McGinley said: “There was a lot of pride at stake for me too. I really wanted to win this as the captain. And I wanted to win it for the players. 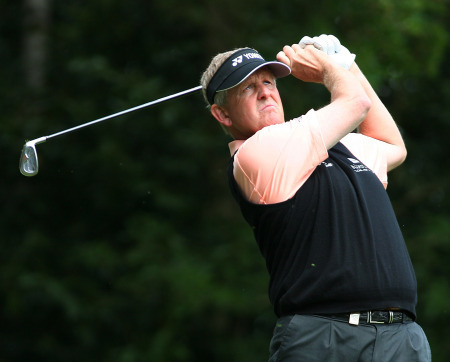 Darren Clarke, Dane Thomas Bjorn and even Montgomerie have been mentioned a potential captains for 2014.